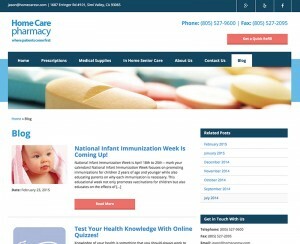 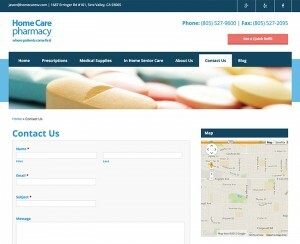 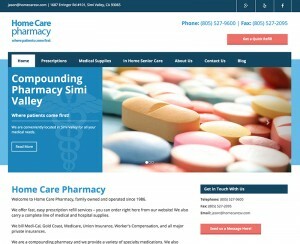 Responsive WordPress Website Design for Pharmacy The owners of Home Care Pharmacy hired us not only to build a new website but also to manage their reputation online and bring in organic traffic with a solid SEO plan. 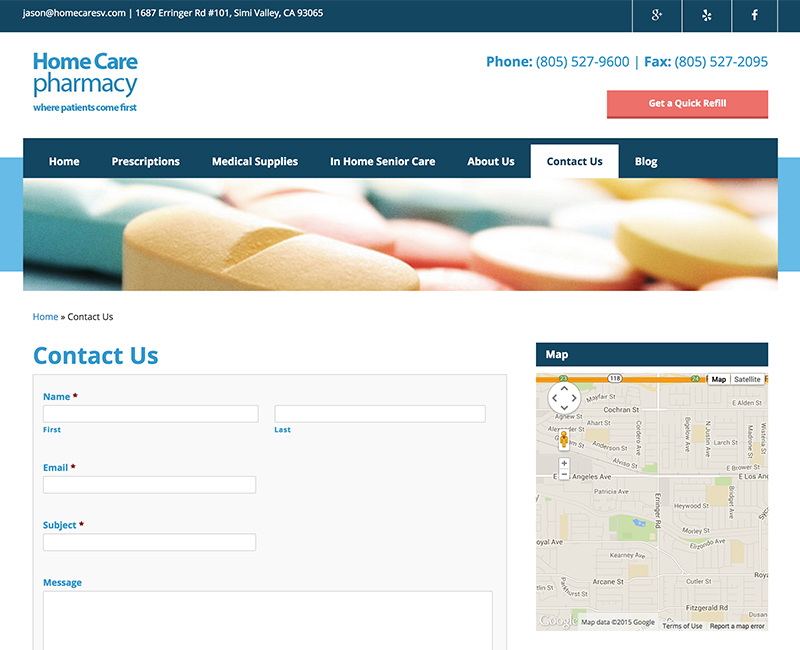 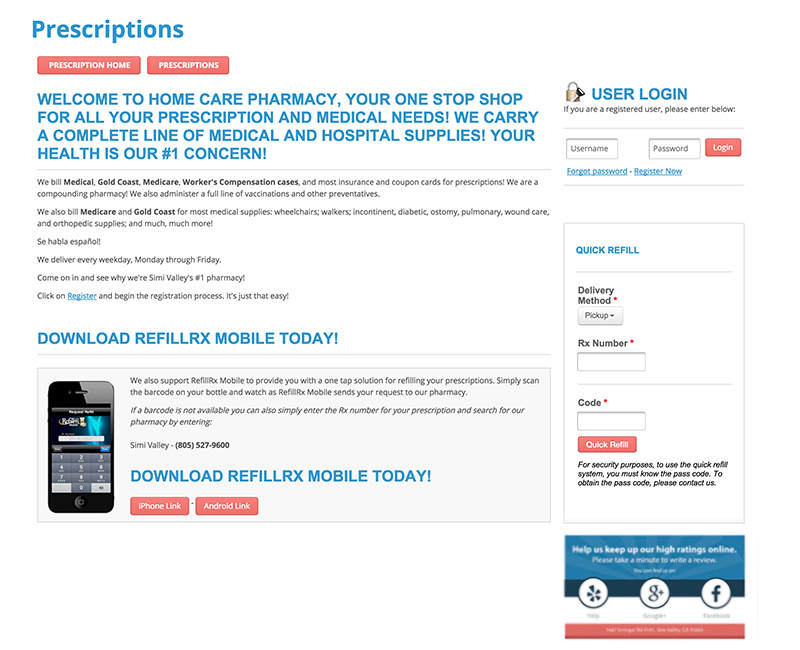 The website was designed for ease of use, including an online prescription refill order form. In addition to offsite SEO efforts, we also ghost write blogs and created a downloadable whitepaper for this client.The way our front end developers built the website allows us to easily optimize the website for great rankings and conversions online. 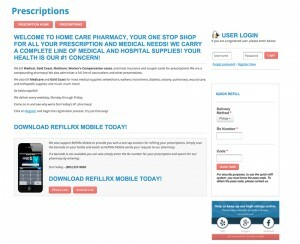 This saves the customer a lot of money in wasted advertising efforts while converting more visitors to revenue.